There was a time, a week or so after I purchased the hardbound edition, when I was cursing myself for having bought this book. I’m not a huge fan of anthologies, especially one in which each section is essentially an encomium. You don’t need a 250 page book to tell you what you could glean from a single essay. I was rather surprised at myself for having fallen into the trap; I bought this only because it was available at a heavy discount at one of Flipkart’s flash sales. It ended up being a first-hand example of how e-commerce websites today are not just fulfilling demand, but also creating it. I’m glad I read it though – although I still believe I could’ve gone the Kindle route on this one. 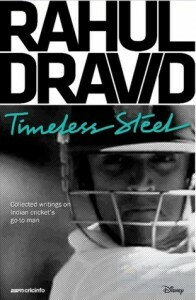 While this book didn’t reveal a lot of new information about Dravid, my memory certainly needed to be refreshed on a few counts. As one might assume, Dravid’s interviews came closest to illuminating the man he is. 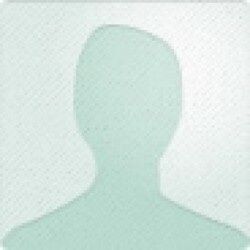 They made me realize that even though he’s somebody who’s often described as simple, as being someone who is easy to relate to, somebody with typical Indian middle class values, and somebody who’s not a superstar even though he is one, he has a rather contradictory perception of himself. The other is Rahul Dravid himself. Ed Smith points out the ‘brilliant inversion of the usual myth’ in these words. Sportsmen are often fond of highlighting the importance of hard work, and rightly so. But this well-intentioned advice is often accompanied by a downplaying of their own inborn talent, so much so that many a superstar talks about how they overcame the shortcomings of their ordinary and unexceptional abilities through sheer perspiration. How refreshing, and ironic, that a man hailed by many as the embodiment of this notion is one of the few to buck the trend. It would’ve been easy to credit his successes to his own hard work, his studious obsession with his technique, his reading of the game; every expert had already done so. But true to form, Dravid chose not to walk down the easy path. This debate – natural talent versus practice and coaching – is a curious one. And not just limited to batting in Rahul Dravid’s case. In another interview, he talks about how he never felt that he was a natural slip fielder, how his slip expertise was honed over years of practice. Yet he goes on talk about the paucity of thought he gave to slip catching technique, and how it came instinctively to him. Yes, instinct can be developed with years of practice, but Dravid’s words do nothing to convince me against Mark Waugh’s opinion, who felt that slip catching comes naturally and cannot be taught by coaches. My perception of the third aspect of Dravid the cricketer, his captaincy, has also been refreshed. Like all Indians before me, I’m guilty of having remembered his tenure through the lenses of the World Cup defeat to Bangladesh and subsequent failure to progress beyond the group stages in 2007. What I failed to remember is his aggressiveness and delightful unpredictability – opening the bowling in an ODI with a spinner, sending in Irfan Pathan to open the batting in the second innings of a test match because the team needed quick runs and Sehwag was injured, and of course, declaring with Tendulkar on 194*, announcing to the world that it wasn’t just about team before self, but in fact, team before (alleged) God himself. Another thing worth mentioning is how well read he was. His instinct on becoming captain was to turn to literature, and explore the knowledge so readily available therein. Having read his speech at the Bradman Oration, I’d now like to hear him deliver it as well even though it won’t be live and I’ll know what he’s going to say before he says it. It should still be worth it though; references to World War II are not something you would expect from your regular everyday cricketer. Rating – 1/5, downgraded from the 2/5 I gave this immediately after finishing it. I don’t write a lot of reviews, but the sheer magnitude of divided opinions on this one is very compelling. 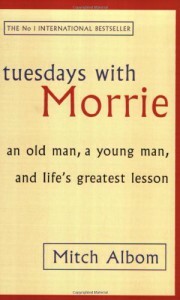 The only saving grace of Tuesdays with Morrie is that it’s a ‘memoir’, a story about a real-life person and a real-life student-teacher relationship. Mitch and Morrie’s relationship is touching in their affection for each other and their discussions have the potential to invite deep thought – if only they weren’t presented as a collection of fortune cookie sayings. Reading this felt like flipping through a collection of inspirational posters, making the whole process very onerous. Mitch Albom missed a trick here. I recognize that there is not a lot of room in a memoir for literary freedom, and the author could not spin stories to support Morrie’s edicts. But the juxtaposition of Mitch’s life and Morrie’s philosophy provided a tailor-made stage to show how to and how not to follow his ideas. A more elaborate discussion along these lines, with a healthy dose of real life context, was needed to show the relevance of Morrie’s ideas. All we get is fleeting glimpses into the life and regrets of Mitch. In fact, in a number of cases, the author shies away from talking about his life even though it is clear that his discussions with Morrie are centered on it, almost as if he is reluctant to share too much with the reader. Which is justified, of course; he has a right to his privacy. But it makes the book feel incomplete. Morrie Schwartz was no hypocrite – it is clear that he wanted his ideas on how to live a fulfilling life out in the open, for the world to hear (and read). The Ted Koppell shows are proof of that. But given his views on money, there is considerable irony in the fact that a lack of funds for his medical treatment served as the main motivation behind this book – another testimony to the importance of context, and how it shapes actions and decisions. 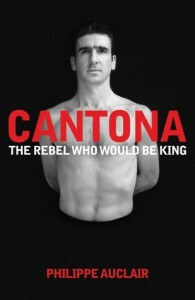 A brilliant and unusual biography of a brilliant and unusual player. The research has been meticulously done, the prose is wonderfully written and Philippe Auclair's insight is unique and refreshing. 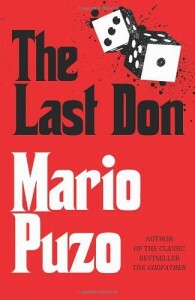 A typical Puzo mafia story. The book sells because of its strong chartacters (the Don, Dante, Pippi De Lena, etc.). And my word, what characters they are! Puzo's incredible characterisation is once again at the forefront of his books. He makes his characters come to life in a way unmatched by any other author. The story, in contrast to all the complexities of the players involved, is exceedingly simple. But that is usually the case where Puzo is concerned. It is a testament to his ability to grip his readers that he does it with an uncomplicated plot line and relatively easy to predict plot twists. Absolutely amazing. 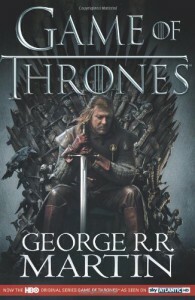 The story, the characters, the blurring of lines between good and evil and the truism that it’s your decisions which shape who you are – A Song of Ice and Fire is as revolutionary as Lord of the Rings was. A definite page turner; it takes a while to get started, but once it does, you really cannot put it down. The first part was better though, and the ending was quite abrupt. But then, that’s what the third part is for. I can’t wait to get started! A word of appreciation for the translator, Reg Keeland. When I found out that the books are actually a translation, I did not expect them to be this good. Translated versions often do not flow as well as one would like and that’s understandable. It’s incredibly difficult to recreate the magic of a book in a translation. But Reg Keeland has done amazingly well. The characters and the story are Larsson’s and he has definitely proven his worth as a crime novelist. But it is Keeland’s efforts that have made them accessible to a wider audience. 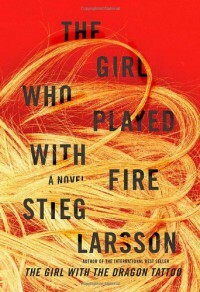 So, kudos to both Stieg Larsson and Reg Keeland! 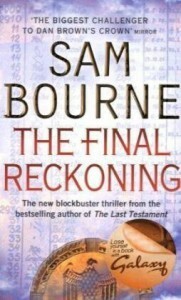 Fast paced, intriguing and very well written, The Final Reckoning offers an eye opening account of the Holocaust and its aftermath. Definitely worth a read because of the issues it addresses. The characters are well rounded, though somewhat predictable. The story itself is quite gripping and the parts which recount the memories of Gershon Matzkin are extremely moving. The adventures of the protagonist, Tom Byrne actually took a back seat because the flashbacks were so well written. There were a couple of things which disappointed me about the ending. Before talking about them, I'd like to give out a huge SPOILER warning to anyone who's reading this. If you haven't read the book, please don't read the next paragraph. I don't get why/how the U.N. SG dies at the end. First of all, how does a person go from almost sticking a needle into someone's chest to sticking the same needle into his own neck and that too in exactly the right place to cause his own death? Granted, Tom pushed his arm away. But he never aimed to push his arm away in the direction of his neck. That may be a minor point in the whole scheme of things, but it got me thinking. Was it really necessary that Viren die? It seems to me that by killing Viren, the author is choosing sides on the philosophical issue he himself raised in the book. Did the DIN really have the right to act as judge, jury and executioner? In addition to being an exciting read, the book raises a philosophical conundrum as well. It gives the readers something to think about long after the book itself has been completed; which is something I did not expect when I set out to read it. As an aside, from the "thriller" point of view, the proclamation on the front cover, 'Biggest challenger to Dan Brown's crown', raised my expectations a little too much. The book was very good, but I don't think Dan Brown has a lot to worry about if this guy is his biggest challenger. A good read if you have nothing else to read. 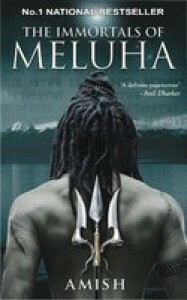 The beginning left a lot to be desired and initially, the writing style seemed to be a little disjointed. But there was a marked improvement as the story progressed. This book came with high recommendations and turned out to be a bit of a let down. I'd give it three stars and not two because, (a) I liked the ending, and (b) I think I might have liked it more than I actually did if it weren't for my ridiculously high expectations. EDIT: Seems like I changed the rating to 2/5 anyway.